Tom’s Hardware reports that the processors are the result of an x86 IP licensing deal between AMD and its Chinese partners. 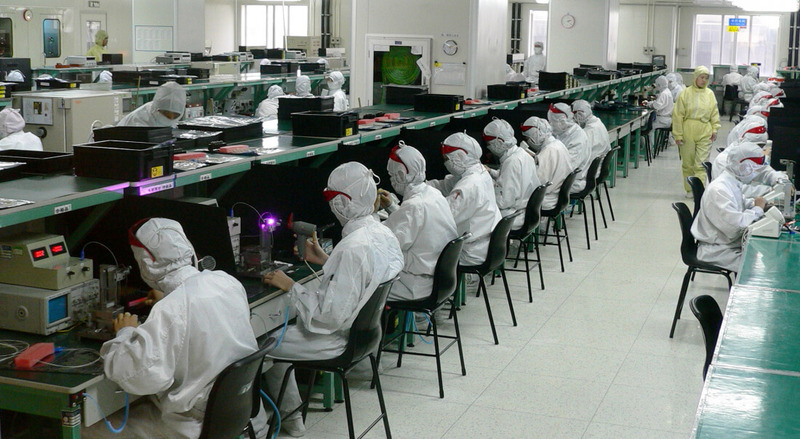 While the US giant said it does not sell final chip designs to these China-based firms, it allows them to design their own processors made specifically for the country’s server market. The Dhyana chips are said to be virtually identical to AMD’s EPYC CPUs, with the only difference being the unique vendor IDs and family series numbers. The US has introduced rules relating to company mergers and acquisitions that obstruct China from developing its own chips, yet despite these regulations, AMD announced a joint venture in China back in 2016 that would see processors based on its own CPUs developed in the country. The deal added $293 million to the US firm’s coffers, and AMD will also receive loyalties based on future unit sales. The agreement states that the final products, which must be “specifically tailored to the needs of the Chinese server market," can only be sold inside of China. To stay within legal boundaries, an elaborate setup of multiple ownership and licensing agreements between AMD and its Chinese partners are in place. Ultimately, Hygon’s chips are bad news for Intel. The Made In China 2025 initiative, which aims to turn the country from the world’s factory into a global technology leader, has seen investment and incentives offered to local chip producers as a way of increasing domestic production. The orange bumble**** understands none of these dynamics. gamoniac, Reehahs and SirStephen like this. This has literally nothing to do with the “orange bumble****”. Chinese initiatives like this one have been in the works long before he got into office. I get you hate him, but go do something more productive than qq about him on every news article you read, if you can’t stand him so much. orondf, kombu, Reehahs and 5 others like this. kombu and SirStephen like this. First, what happened to their home-brewed Loongson CPU? Second, what happenned to their x86 Zhaoxin attempt after that? I think Dhyana is gonna be another pathetic attempt at CPU independency, which is little more than a political game, and will fail all the same. Don't know if I'd call it independent. They still have to pay AMD for each CPU sold and they still rely on AMD licensing. Reehahs and Lionvibez like this. "Loongson CPU and Godson CPU are the same thing. It is based on MIPS instruction set. It runs mostly a Linux variant. One of the major problem with the Godson project was considered to be the troubling relationship with MIPS and also was impacted by the troubling future of MIPS in commercial markets. Around August 2013, IBM OpenPOWER was announced and it gave Loongson another blow, and many believes Loongson's future becomes more uncertain . The hype of Godson processors was gradually fading away. But it is still in development, is still making some progress and it survives by re-targeting to some China's niche market such as network security and hopefully some high performance applications. The revenue reached 100 million China yuan (16 million USD) in 2015 . " "Zhaoxin came to the North American & European technology press' attention with the ZX-D processor, and its plan for future products, in late 2017/early 2018. Changes to the ZX-D include the integration of the northbridge like modern x86 designs, as well as additions of Chinese cryptographic functions. The ZX-D is noted to have roughly the performance of the Intel Silvermont (Avoton) processors. The aim for the ZX-F series is for performance parity with the 2018 series Ryzen processor. The ZX series also has integrated GPU technology from VIA's S3 Graphics." Those ZX chips simply couldn't keep up with Zen, much less Intel. The same with Longsoon's chips. They were solid attempts, but unless the price drops dramatically there's no competition there. A ZX chip would not come anywhere near an EPYC chip for performance; they aren't in the same league. VIA made some great stuff in their day but they aren't competitive in today's market. gamoniac and Reehahs like this. China knows why. Intel's ME is surely one of reasons. No state wants to be dependent on another state's product furthermore carrying espionage firmware. I'm only curious why they didn't choose RISC-V as being open designed. kombu, Knot Schure and SirStephen like this. I think you want ( royalties ) not ( loyalties ) unless Amd is selling out to the Chinee's. That is another topic. What is your solution or suggestion? Oh yes, Intel is such a patriot that it's doing the same thing AMD is and more. It has a fab in China and it's invested $1.5 billion this year alone in the state sponsored group spearheading China's push for chip independence. By your own words is Intel "that desperate to make a buck"? China making zen based APUs. I'm sure that AMD wont regret this in 10 years when the market is flooded with cheap chinese zen CPUs, like pretty much any other market the chinese get into. Trump Derangement Syndrome in full swing. Reehahs, Knot Schure, SirStephen and 1 other person like this. Yea Intel have lied, manipulated, bribed cheated, dodged taxes and generally corrupted their way to the very top of food chain! They truly are the corporate personification of the American dream. AMD are just doing the same screwing over their competitor to get an edge and (maybe) giving their shareholders a windfall. And maybe paying more in tax to feed the American system.. I ask you truly what could be more American than that. orondf, Roman Architect and Reehahs like this. I hope AMD liked having their own IP because the market will now soon be flooded with cheap Chinese chips based on AMD's IP. Nice try but Intel isn't supplying China with their own IP like AMD is, they're merely manufacturing some of their chips there. Great news for AMD and their shareholders oh and for AMD fans like evernessince. For for the rest of us this means nothing. Intel will remain also known as “chipzilla” and will continue to dominate western markets and produce the fastest CPUs available. "The agreement, unveiled on Sept. 26, gives Intel a 20 percent stake in Spreadtrum Communications and RDA Microelectronics through shares in a Tsinghua University holding company, with the aim of jointly developing and marketing smartphone chips." Oh wow, it's a join venture just like AMD. The only difference is Intel invested 1.5 billion just to get a shot at sharing it's IP with a Chinese firm, AMD got paid. "As part of its recent deal, which is expected to close early next year, Intel and Unigroup will form a new holding company that contains Spreadtrum and RDA. Beijing wants the Unigroup companies to become competitive with Taiwan’s MediaTek within five years and overtake Qualcomm within 10 years, according to a person familiar with Unigroup." "Intel started investing in local operations 20 years ago, and presently operates factories across the country for manufacturing, assembling and testing microprocessors. Intel also has research and development operations in Beijing, Shanghai and Shenzhen." I could go on but I think you can read the rest, suffice to say Intel is more in bed with China than AMD is. Intel really isn't chipzilla anymore. They failed to capture any of the mobile market when they had boatloads of money and now it's not looking so great for them in the mobile market. These are just facts. "dominate"? If by that do you mean another 3% IPC increase Intel has on it's roadmap? Or do you mean it will continue it cavalcade of security vulnerabilities? Just looking at the sales numbers, Intel's hasn't objectively dominated since Ryzen released. Kind of hard to take someone seriously when all the numbers are contrary to their radical opinion. I get that you like to play sides and project that onto others but that doesn't mean you get to twist facts to meet your narrative. mosu, Reehahs and Flebbert like this. What world do you live in mate? You’re the one twisting fact!. On planet Earth I’m pretty certain Intel recorded record growth last year and their share price Is approaching the highs of the 2000’s! They basically own the laptop market and Ryzen hasn’t really taken more than a few percent of the home desktop market away from them at best. They are definitely still “chipzilla”. They easily top the list of semi conductor manufacturers when it comes to profit and are currently growing quite rapidly. You don’t know what you’re on about! What world do you live in mate? You’re the one twisting fact!. On planet Earth I’m pretty certain Intel recorded record profits last year and their share price Is approaching the highs of the 2000’s! They basically own the laptop market and Ryzen hasn’t really taken more than a few percent of the home desktop market away from them at best. They are definitely still “chipzilla”. They easily top the list of semi conductor manufacturers when it comes to profit and are currently growing quite rapidly. First we weren't even talking finances. You're like that COD player who points to the number of sales as if it makes up for the poor quality of the game. But since you failed to debate on point, I'll consider Intel's future products and their brand bevity as points you conceded on and humor your off road adventure. First, Intel's net income hasn't exceeded 2011 levels and in fact it's been shrinking since 2014. This is despite Intel expanding into more and more areas like SSDs and NUCs. And why would Intel be a trending brand? They sat on their hands for a decade and did almost nothing. They missed the entire mobile market and they let AMD come back into the game. Intel hasn't had a significant architecture change since the 2000 series and it won't have the next one until Kim Keller's design is being mass produced at the fabs. "They easily top the list of semi conductor manufacturers when it comes to profit and are currently growing quite rapidly." Intel's profit margin has been shrinking year after year in accordance with net income. 8.42% growth over 5 years. Apple is projected to grow 16.23% if you need a comparison, almost doubling Intel's. Of course what did you expect, Intel to gain marketshare it already had in the PC market when AMD came onto the scene? Your claim is a paradox, as in impossible. Intel cannot gain that which it already has, ryzen's impact could have only been one thing. "You don’t know what you’re on about!" Sometimes I don't know why you self reflect out loud so much. Flebbert and Reehahs like this. I’m not even going to bother with you any longer, I know you won’t listen. I let’s agree to disgree. Intel are still easily the biggest chip company around, I pity you if you can’t see that. But I know in your case you just don’t want to. You are the biggest AMD fan I have ever encointered and with that comes a severe mis-comprehension of the industry it seems. You clearly definitely do not know what you are talking about. I’ve set you to ignore. I’m here to debate with people who use facts and reason. Who don’t make ridiculous claims like “Intel say on their hands for 10 years” when clearly it was AMD doing that. Intel do much more than make CPUs and have actually done quite a lot once the laptop space and developing markets. Along with efficiencizing server tech. Your beloved AMD are the ones who have done nothing pal. "Intel are still easily the biggest chip company around, I pity you if you can’t see that." Apple is almost four times the size of Intel. "Oh, your sources are hilarious, they show an increase in profit made. Perhaps you should check your sources before humiliating yourself? ;"
This is especially funny because you are just reading off the headline but in the link you provided Net Income is down. Just a heads up, revenue is just money coming in, not how much you made after expenses. After expenses, Intel made less money annually. You can see this in every link I and you provided. It doesn't matter if Intel made more money because it also spends more, resulting in less cash in hand at the end of the fiscal year. This is comparing Apples to Apples. "You clearly definitely do not know what you are talking about. I’ve set you to ignore. I’m here to debate with people who use facts and reason. Who don’t make ridiculous claims like “Intel say on their hands for 10 years” when clearly it was AMD doing that. Intel do much more than make CPUs and have actually done quite a lot once the laptop space and developing markets. Along with efficiencizing server tech. Your beloved AMD are the ones who have done nothing pal. ["
Substituting a personal attack for an actual argument. Ah, when you know they can't debate you on the data. Flebbert, HardReset and Blitzwing like this. While it's certainly "good for business" I trust that AMD will restrict the sale of these units and not allow them is the USA without a very fine examination of their inner works. I couldn't think of a better way to infiltrate the US and remember the old stuck-net bug our CIA created to go after North Korea & Iran's nuclear production? Well, it's still out there wearing a lot of different "coats" and ready to be plugged into just about anything, including your CPU.